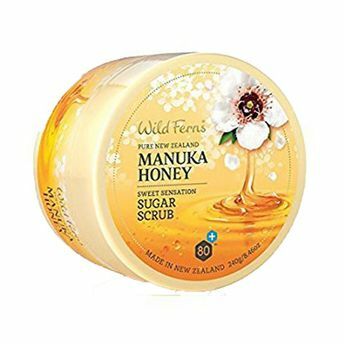 A beautifully fragranced body exfoliant formulated with premium certified Manuka Honey 80+ and blended with natural sugar crystals to exfoliate the skin and create a radiant glow. Avocado Oil and Cocoa butter will deeply moisturize your skin while Ginger Root will promote warmth and increase circulation. Papaya Extract has been added to dissolve dead skin cells and aid in the exfoliating process. Exfoliating will help your moisturizers penetrate deeper leaving you with soft radiant skin.